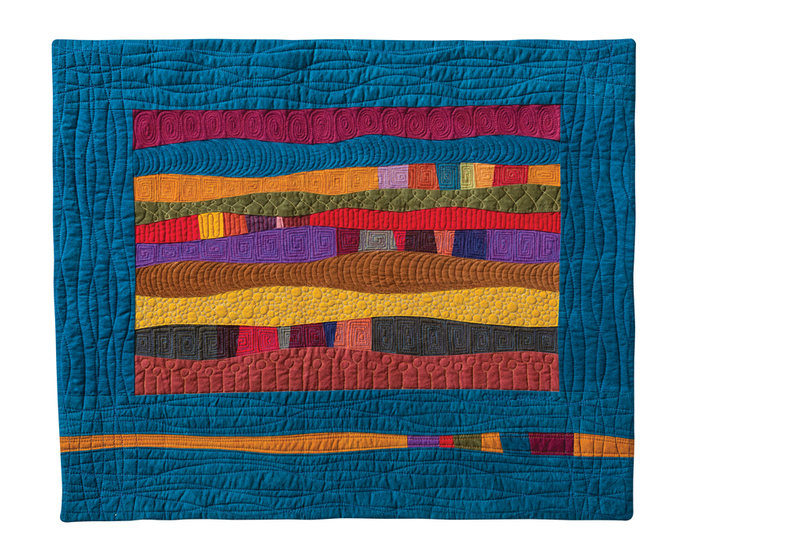 heather kojan quilts: Artful Improv Blog Tour and Giveaway! Artful Improv Blog Tour and Giveaway! I'm so pleased to be part of the blog tour for the book Artful Improv by Cindy Grisdela. I met Cindy at an art fair in Annapolis about 5 years ago. 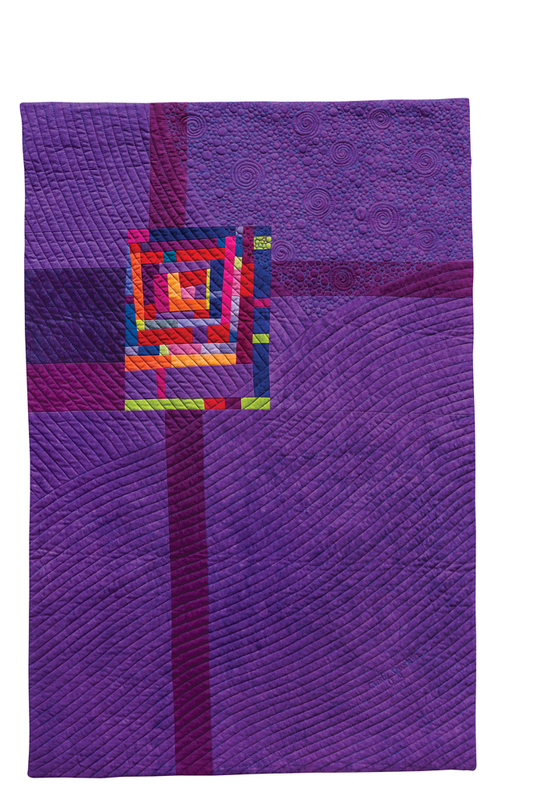 It was just months after I started the Baltimore Modern Quilt Guild, and I was so thrilled to find an artist that shared the same aesthetic. I'm not even sure if I had ventured into improvisational piecing at that time, but her art quilts certainly inspired me to jump in. There's so much great content in Artful Improv. A first flip through, and you'll be visually delighted with all of her quilts. As you dive deeper, you'll begin to see how she thinks, plans, executes and finishes her quilts. As Cindy says in the chapter How to Use This Book: This is a hands on book. Play with the exercises to expand your comfort zone and experiment. I'm eager to try one of her signature styles, which I think of as ribbons on a present. Her use of color and scale - so good! Did I mention that Cindy is a master at curves? I'm eager to try some of her curved piecing techniques. Look at all that wonderful texture she creates! 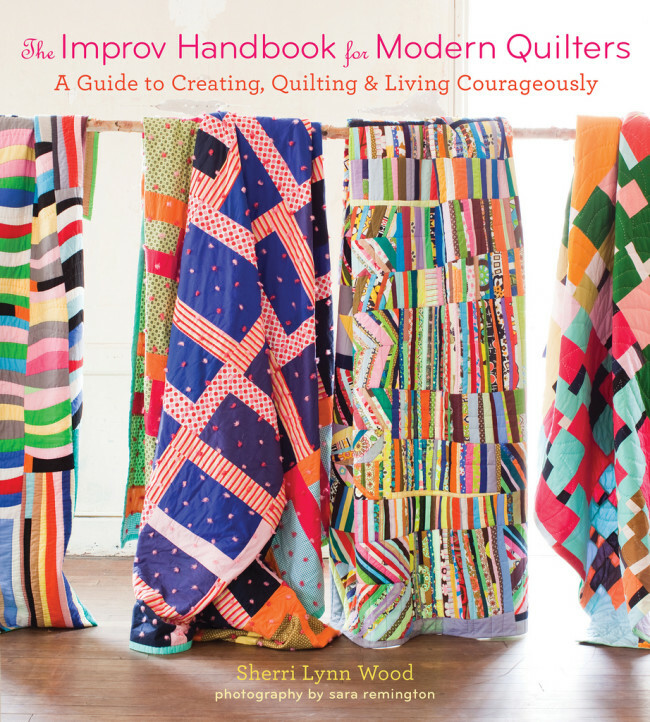 More than just a quilt book, I know you'll be reaching for Artful Improv over and over. 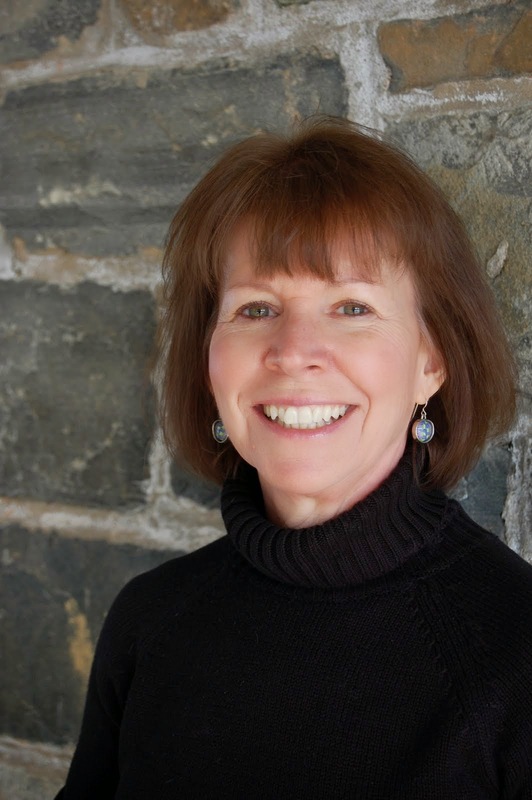 Would you like to win a copy of Cindy's book? 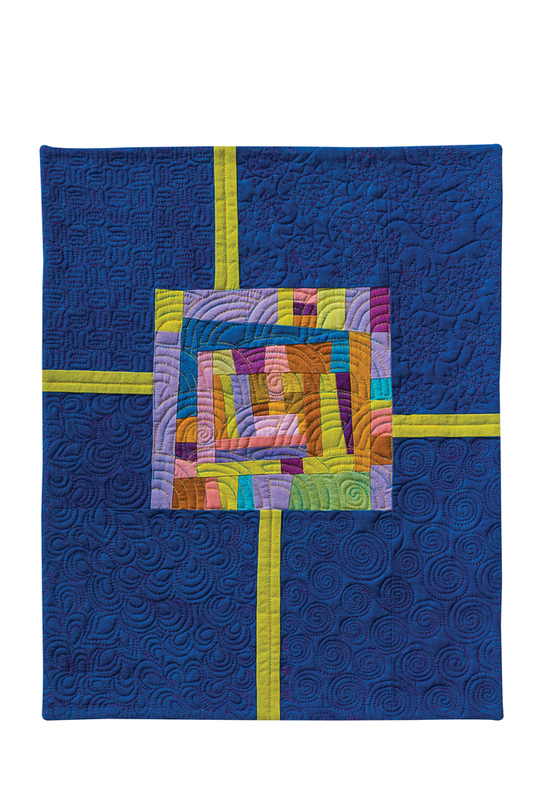 Just leave a comment below, answering this question: Have you tried improv quilting before? Of course, my newsletter subscribers always get an extra entry (just let me know in a separate entry that you subscribe!) US winners will receive a print copy of the book, international winners will receive a digital copy. Winner will be drawn on October 20. Please make sure I can contact you via email. 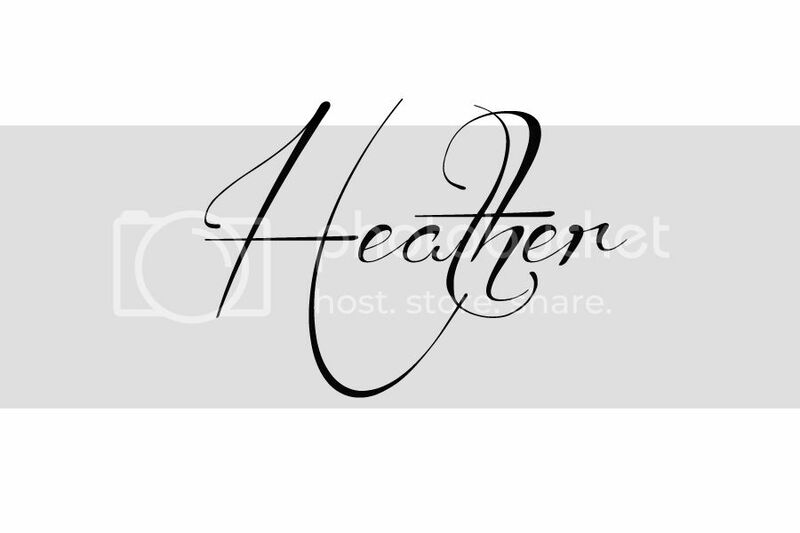 October 17: Heather Kojan http://www.heatherkojan.com/ YOU ARE HERE! I have tried improv, but the 'no ruler' work is out of my comfort zone! Would love Cindy's book to explore more! Love Cindy's book and i can't wait to get a copy. 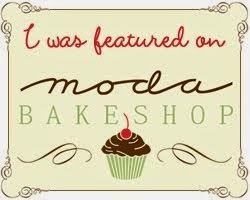 I love Cindy's work and looking forward to getting my hands on her book! I'm really enjoying the blog hop -- the book sounds great! I also love visiting the blogs. Your tutorials are wonderful. Thanks! I do some improv work and am interesting in doing more. I have been doing improv piecing for a number of years using everything from quilting cottons, denim and twill, flannels, to t-shirts. Have done some improv. Long way to go. What a pleasant site! 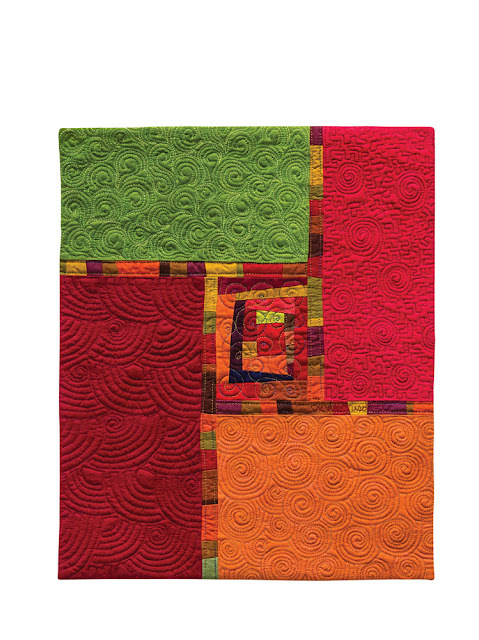 And positive, inspirational energy to continue learning improvisational quilting. This is a book I definitely want on my shelf and in my hands for inspiration! I have made improv projects and they are my favorite type of sewing! I find them to be stress-free and really open my mind to the creative side. 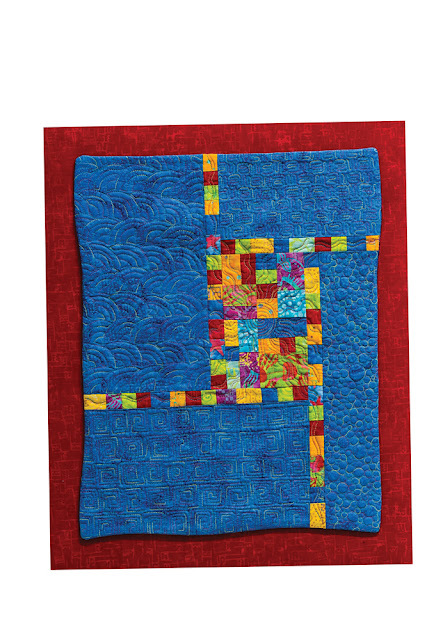 Improv quilting is definitely my favorite, and I'd like to learn more. I like to play with stripes and this book will give memore ideas, I think. It's looks like a lot of fun. I just need to carve out time to improv! I have tried Improv, took a class from you last year. I haven't tried improv quilting but am thinking I would like to do so. I love improv piecing! I am eager to get a copy of this book - it has been way, WAY too long since I got to play with fabric. I've tried it and LOVE it! I can't wait to see this book. Hopefully I am the winner of an electronic copy! In the online Block Lotto, there are often improve blocks for the month. Yes! I have done a few pieces using improve quilting. I find that my style is similar to Cindy's, but would really love to read about her process and try some of her exercises. So exciting!!! I love improv! I can't wait to check out this book. I have tried improv, and have made some quilts that I consider "successful" - I was happy with them! But I still feel like I'm missing something, and I think Cindy's book is going to provide me with that! I'd love to get a copy. I've subscribed to your newsletter as well. I belong to the Tacoma MQG, so it will be fun to see what you're up to! Thanks for the chance to win a copy of Cindy's book. I have tried improv, but my quilts don't look like works of art such as Cindy's quilts. 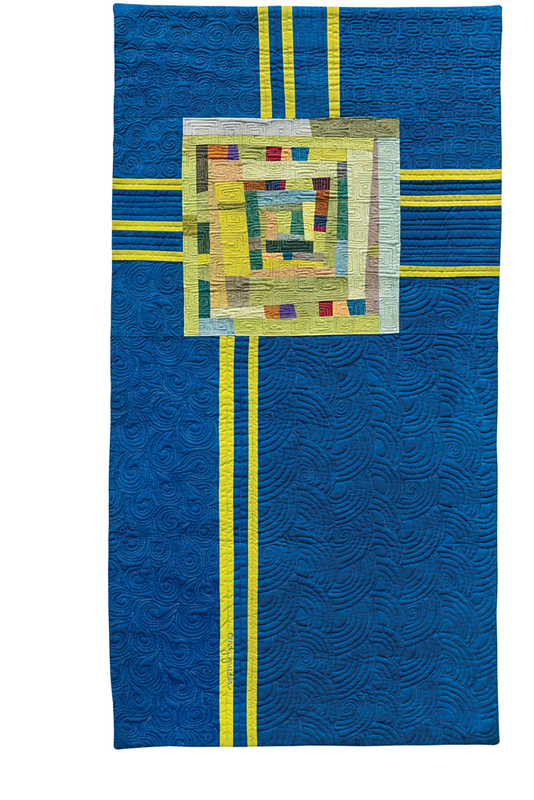 I have seen her work on exhibit here in Northern Virginia and have also been impressed by her machine quilting. Thank you for the opportunity to win her book. I also subscribe to your newsletter and enjoy your blog. Yes, I have tried a little improv piecing!... But, it is SO hard for me to let go of my rulers!! I love the wonderful quilts I see here, and really want to do more than just "stick my toe in the water"! Cindy's book looks like it could give me just the support I need to leave those rulers alone! I have tried improv piecing and I love it. Many times my improv pieces end up being "made fabric" for traditional blocks, so I'd love to learn a technique for adding the beautiful negative space that I see in these pieces without having to "square up" the improv piece. I'm subscribed to your blog by email newsletter! I've done some improv piecing, but I'd like to learn to get better (less inhibited!). I admire Cindy's style. I'd love to learn more from her book. I have never tried improve quilting. Love the look, the colors. Looks like a good book to learn more about this method. My only improv quilting so far has been wonky log cabin and wonky star blocks. 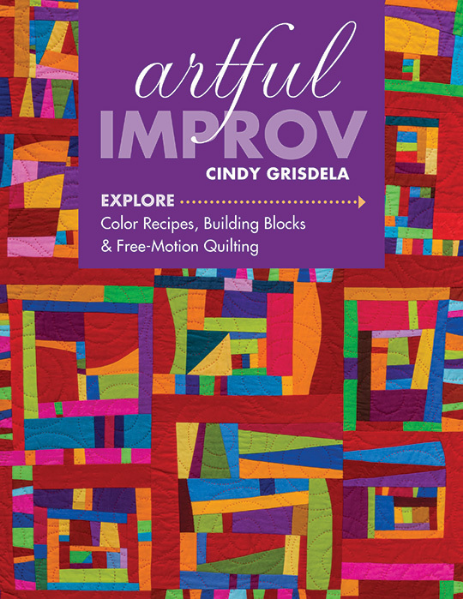 This book looks like a great way to learn some new ways to try improv quilting. Thanks for the chance to win. Yes I have but we didn't call it Improv. It was just use every strip and go for it. I can't wait to see a copy of this book. Should be fun. I've just started to do improv piecing and am anxiously looking forward to reading cindys book. I have tried a little bit of improv piecing before but would love to learn more. I have done a little bit of improv piecing on small things. 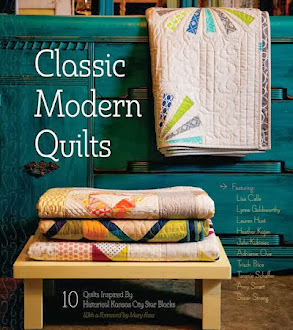 The quilts from this book look so great, they make me want to try more improv! I have done a LOT of free piecing (a precursor to what is now know as improv) and recently had a book about my free pieced barn project published. I have loved Cindy's work for a long time and would be thrilled to win a copy for my studio. I love working improvisationally and look forward to reading Cindy's book from cover to cover (more than once, I'm sure). I love doing improv. This book looks great! I have not try improv quilting yet. Thanks for the chance to win! I have tried improv, just a little, on a few small pieces. I love the look but it will take me a while to stop trying to be so symmetrical. I've tried a little improv but it's not as easy as it looks!!! yes, I've tried improv and it's great fun. Like to grab a stack of scraps and play. Even if my experiment turns into a mug rug, it's fun. I've done a little improv but it isn't my comfort zone at this point. I'm the librarian for my local modern guild and would love to add this book to our library. Thanks fro the chance. I have sure tried improv and I love it! This book looks amazing. I'd love to have Cindy walk me through some improv. I have tried my hand at some improv piecing. Sometimes I'm pleased with how it turns out--and that can be either when it turns out the way I'd imagined, or when it surprises me completely, isn't that funny? Other times I'm disappointed. That's okay, but I'd like to be able to figure out why, and I think this book might help me understand why. I love the quilting in these art works.It creates such a beautiful layer of texture. Yes I have tried some improvisational sewing techniques such as cut and sew again. This book looks great and lots of fun! I also just signed for your newsletter! My first commission quilt is an improv done with neutrals, nothing I had ever done before! Surprisingly to me, I loved it! Thank you for the chance to win! I used improv on the front of a fabric baby book- so fun!! I recently tried to improve a block for a swap. I was pleased with how it turned out. Awesome sewing thread of pattern. The pattern is strange but beautiful. Would love Cindy's book to explore more! User experience signals were HUGE this year. And I expect them to be even more important in 2019.